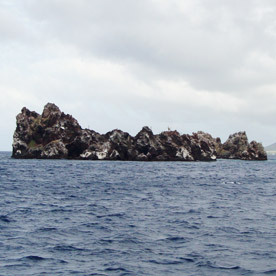 Floreana, officially "Santa Maria," is located at the far south of the archipelago. 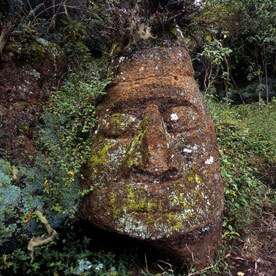 The island is associated with a strange and curious history of its inhabitants. 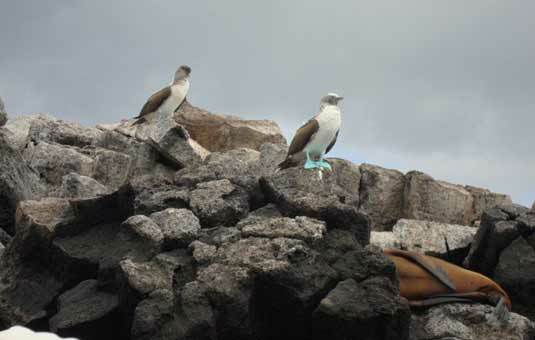 Snorkeling around this area is one of the best in the Galapagos. 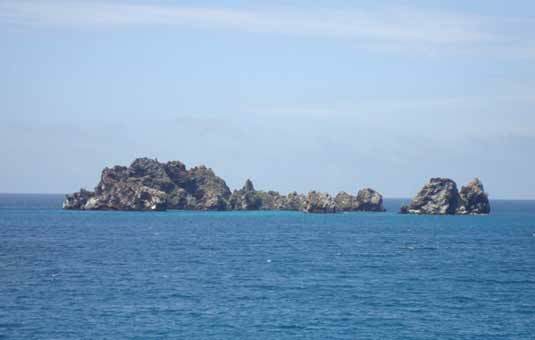 The official name of the island is "Santa Maria" and its English name is "Charles," but it is most commonly known as "Floreana." 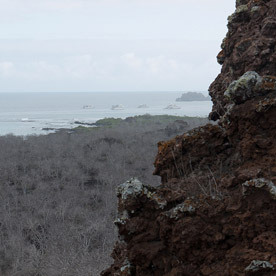 Baroness Viewpoint is a fantastic place to absorb the environment of the Galapagos. Once inhabited by an indulgent baroness and her three lovers, the history of this island is intriguing. The legends about this baroness are associated with a fascinating murder mystery. 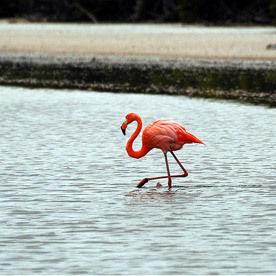 There are easy trails in this area for exploring the flora and fauna of Floreana. 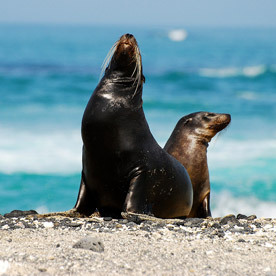 Highlights: The best snorkelling site in Galapagos Islands with sharks, rays, rock formations, lots of tropical fish. 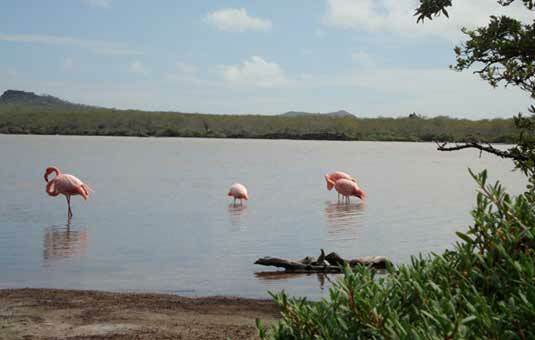 This site hosts a large flamingo lagoon where other birds such as common stilts and white-cheeked pintails can also be seen. The beaches on this island are distinct: The "Green Beach" is named so due to its green color, which comes from a high percentage of olivine crystals in the sand, and the "Four Sand Beach" is composed of white coral. 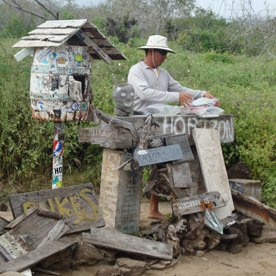 Asilo de la Paz is a visitor site of historical significance on Floreana Island located 5 mi (8 km) from Puerto Velasco Ibarra. 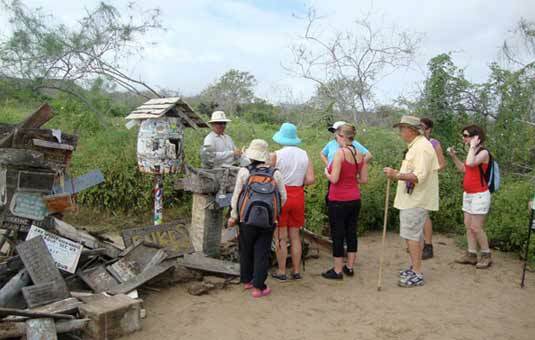 Along the trail to the top of a 1476 ft (450 m) tall hill, visitors will pass through a Scalesia tree forest and see a corral where Galapagos tortoises from San Cristobal Island are kept. Visitors will discover the caves where some of the first human settlers on Floreana Island stayed and also encounter a fresh water spring. Difficulty: Difficult as the trail leads up to an altitude of 1476 ft (450m). Closed-toe shoes are highly recommended.